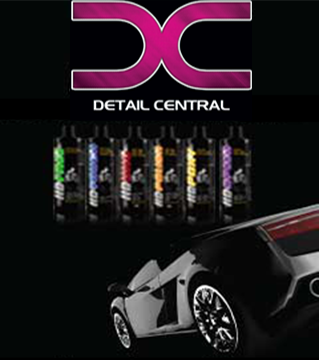 Detail Central is your one-stop-shop for Angelwax car care products. We are proud to stock this world-famous brand and ensure that car owners throughout Australia can take care of their vehicles with European precision and excellence. The Angelwax team are a group of industrial chemists, with 25 years of experience and expertise that they put into all their products. From shampoos to wheel cleaners and wax, rain repellents and upholstery cleaners, your car will gleam from front to back. Angelwax has an impeccable reputation for quality and from its humble beginnings in Scotland has grown to be a world-leader in car care technology. Angelwax products are the result of years of research and development, as well as the precision and attention-to-detail only found in small batch formulations. Made by hand, with unique blends of oils and waxes, you can rest assured that Angelwax will care for your car like no other. Detail Central is more than just another place to buy some car wax. We are passionate about car care and work hard to help our clients choose the right products for their needs. Whether you’ve bought a brand-new car or want to bring an old favourite back to life, we can provide all the tools, accessories and expertly formulated polishes, foams and waxes you need. On top of this exceptional product range, you can also rely on us for expert advice and guidance, with our many years of industry experience giving us the expertise to answer your questions and ensure your car’s finish is protected now and in the future. To find out more about the Angelwax range of products, get in touch with Detail Central today. We will be happy to provide all the information you need to ensure you choose the right waxes, foams and polishes for your car. Use our online contact form and we will be able to answer any questions you may have. You can also call us on 0458 966 399 to talk directly with Detail Central. We also have a store and showroom in Carrum Downs, so be sure to visit us and see for yourself our comprehensive range of Angelwax products, as well as many other top-quality brands.